WHY SHOULD THE IRISH HAVE ALL THE FUN?? Happy St. Patrick's Day to ALL of us! 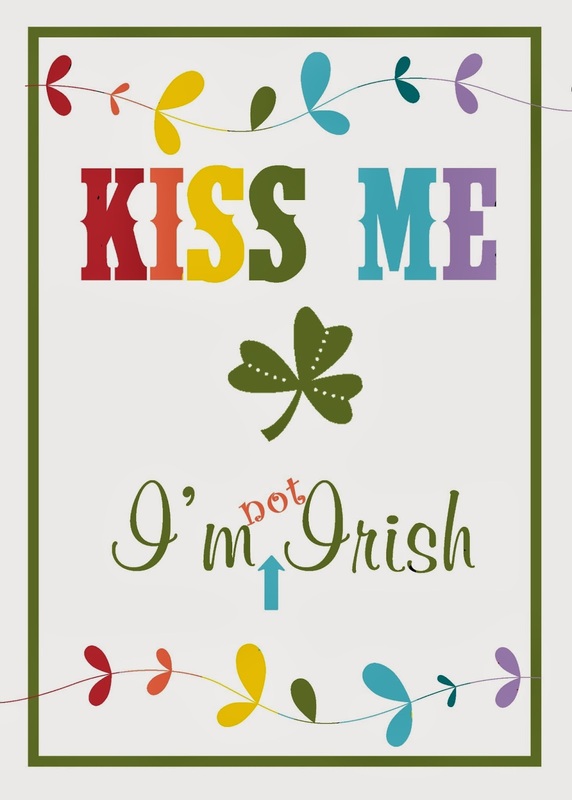 I posted a "Kiss Me I'm Irish" décor and my son asked why only the Irish get kissed. Now I can replace that with this fun sign! Don't know why I didn't think of that before. Thanks for sharing through the We Like to Learn As We Go link party. Whahahahaha! love the tiny not! That is cute!! The not you added is great!! So cute and the colors are very pretty too. Visiting from Great Idea Thurs. Linkup. LOL! Too funny! I'm Irish "by marriage" :) Thanks for sharing on Sunday FUNday!